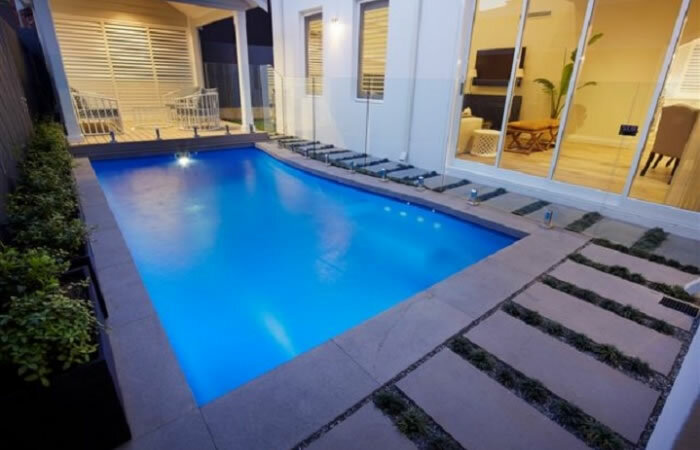 This sleek and modern visually appealing design is the newest addition to our extensive range of fibreglass swimming pools. With the step arrangement being recessed into the curve of the pool the Sahara boasts a large uninterrupted swimming area. Great for laps or just lazing around enjoying your down time. The centre entry on this pool was purposely designed so entry and exit points were opposite to our hugely popular Majestic and Monaco ranges. This ensures that we have a range to suit everyone’s needs for their backyard oasis. 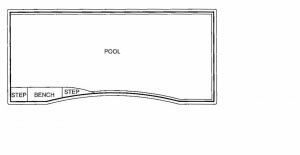 The 7.5m Sahara is one of the deepest 7m pools on the market with a fantastic depth of 1.88m, the 6.5m Sahara has a slightly shallower deep end at 1.80m. At present this shape is available in two sizes, 7.5m x 3.5m and 6.5m x 3.5m, this range will continue to be extended. As with all of our ranges the Sahara comes with a safety ledge for our little swimmers and is available in all our vibrant colours.